We are helping Bright Print Group save $10,750 over two years by re-negotiating thier energy rates! Debbie from Bright Print Group came to Make It Cheaper through one of the partner channels – The Printing Industries Association of Australia. We started the partnership this year (2015) and Debbie was the first member to take advantage of the alliance to reduce her energy. Bright Print Group, due to their usage, are classed as a Commercial & Industrial customer, this means Make It Cheaper go to the live energy market to get the latest rates from a long list of retailers then present the findings back to the customer. In this case the Commercial Account Manager assigned to help Debbie was Michael Ricketts. Michael, took the usage data from Bright Print Group to go to the live market and get the sharpest rates possible, it was a perfect time to negotiate the rates as the current contract was coming up for renewal. "I came into contact with Debbie via the Printing association who we are currently partnered with and found out Debbie’s contract was due to expire in the coming months. After a smooth tendering process, we managed to save Debbie $10,750 over 2 years with her current retailer. It is very refreshing to be in a role where I am privileged enough to offer a service that helps a customer save money for whom I know it will make a big difference financially. I look forward to re-visiting Debbie’s contract in two years’ time to offer the same service again." We’re happy to help Debbie and Bright Print Group find a competitve rate– in fact Debbie can now use the savings to put back into her business and help it grow. 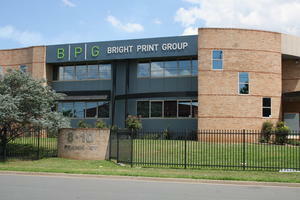 Let us help your business save money like we helped Bright Print Group. Visit our business energy page to find out how.